Gaelle is the Head of Brand Insight at Kantar Media. Gaelle has over 15 years’ experience in consumer research and analysis, gained agency-side at TNS, SDL/Alterian and dunnhumby and client-side at GlaxoSmithKline and Coca-Cola. Gaelle has been delivering insights from social media research for over 6 years and has helped drive business decisions using this source for organisations such as Barclays, Eurostar and Orange. Gaelle heads up social media intelligence at Kantar Media, and has previously guest-blogged and contributed to NewMR webinars. 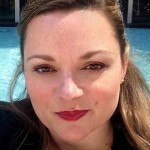 Gaelle also regularly blogs and speaks at industry events around social media intelligence best practice.